I honestly have no idea how I stumbled upon making this creation, but once it had chilled and thickened to a rich and dreamy consistency, I was hooked. This vanilla yogurt mousse is light on sugars (using only natural sweeteners), stocked with probiotics, and has the nutrition and richness of cashews, without going over the top. You Do Not Soak the Cashews – You’ve probably seen me pre-grind nuts to skip the soaking in a few other recipes, but in this vegan yogurt mousse, it’s essential. You want the nuts to be dry (not pumped with water from soaking), so that they soak up the moisture in the yogurt for maximum thickening power. It Isn’t a Fat Bomb – I’m not averse to eating fat, but too much of it makes my stomach turn. And as tasty as those raw desserts can be, many of them are simply too rich to tolerate. But this vanilla yogurt mousse contains just one normal-size serving of cashews per serving and no coconut oil, coconut cream or other high-fat ingredients. 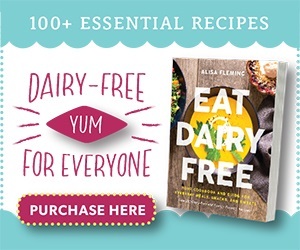 I Use Dairy-Free Yogurt! – So Delicious Unsweetened Cultured Coconut Milk is a staple in my refrigerator for its neutral flavor (works in sweet or savory!) and no added sugars. It also provides body to this vegan yogurt mousse and just enough liquid to perfectly thicken when combined with those cashews. You Really Don’t Need Much Sweetener – Something about the combo of the dairy-free unsweetened yogurt and the cashews provides a base that just soaks up any sweetener. 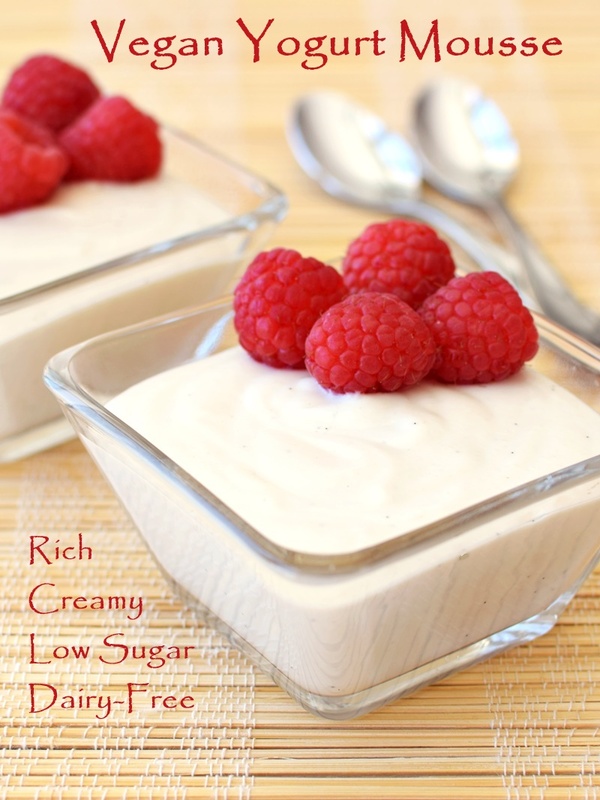 And of course, this vegan yogurt mousse is the perfect summer treat. 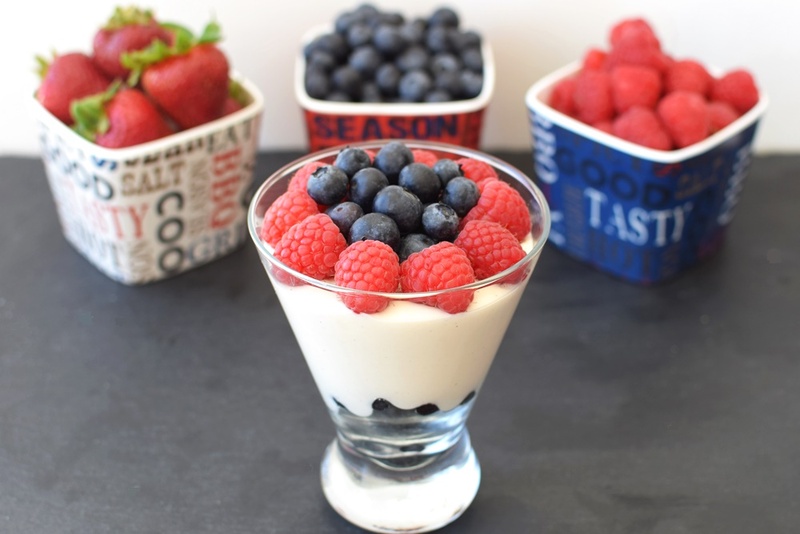 I’ve dressed it with red and blue berries for a nutritiously festive 4th of July dessert, but you can pair it with just about any summer fruit for potlucks, barbecues, or simply lounging in a hammock. For a little extra indulgence, pour the freshly pureed blend in a graham cracker crust before chilling or simply top the single-serves with some crumbled cookies or shaved chocolate! 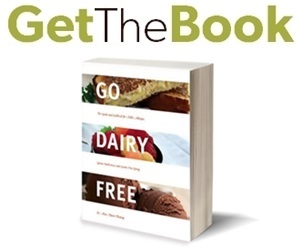 This post is sponsored by So Delicious Dairy Free, my favorite dairy-free yogurt and ice cream company! 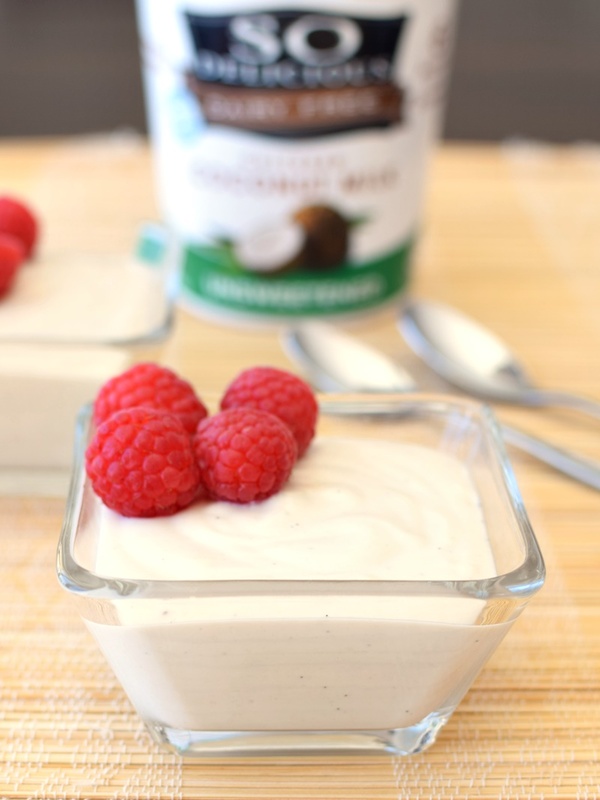 And yes, this vegan yogurt mousse really is a favorite that I enjoy often and make specifically with their cultured coconut milk “yogurt”, because I love it. 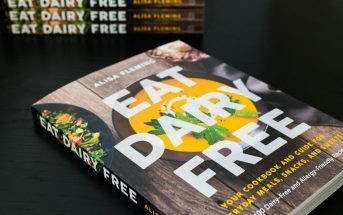 By ingredients, this recipe is dairy-free / non-dairy, egg-free, gluten-free, grain-free, peanut-free, soy-free, vegan / plant-based, and vegetarian. Making this vegan yogurt mousse without nuts would be a bit tricky, since the cashews soak up quite a bit of liquid. If you were to use coconut cream or firm silken tofu in place of the cashews, then the ratios would need to be tinkered with to avoid too thin of a result. Place the ground cashews, yogurt, honey or agave, lemon juice, seeds scraped from the vanilla bean or vanilla flavoring, and salt in your blender and puree about 30 seconds or until smooth. You want to avoid blending too long, as it can heat up the yogurt! 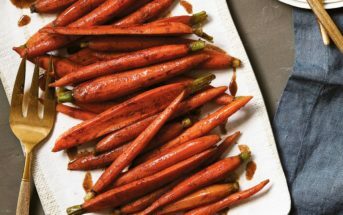 Pour into 3 serving dishes, cover and refrigerate for at least 4 hours or overnight. It will keep for about 3 days in the refrigerator and the flavor improves after a night of chilling. *To further reduce the sugars, you can use part stevia (or other sugar-free sweetener), but I don't recommend swapping all of it since alternative sweeteners can overpower. I've used 5 drops of pure stevia, reducing the liquid sweetener to taste, with good results. Mmmm, this looks so delicious, Alisa! I can’t believe how healthy these are – what a great sweet treat! This is definitely my kind of dessert, so I will have to try it. Thank you so much for sharing!! 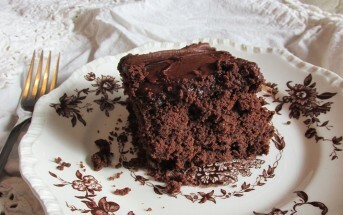 I hope you do get the chance to enjoy Harriet – it really is decadent and yummy! This is unbelievably delicious — and variable. You wouldn’t believe how grateful I am. Thanks! I love the ingredients in this recipe! Not only because they are so healthy and delicious but because I have them all on hand! Yay!! Woohoo! I hope you get the chance to enjoy it! Loving that this is low sugar…I think I am going to make it tomorrow for breakfast!!! YUMMY! You’d love it Nic! And definitely breakfast-worthy. I hope you managed to find the unsweetened one Arman – it’s SO versatile! I have seen that yogurt in the store but never tried it. It sounds delicious! 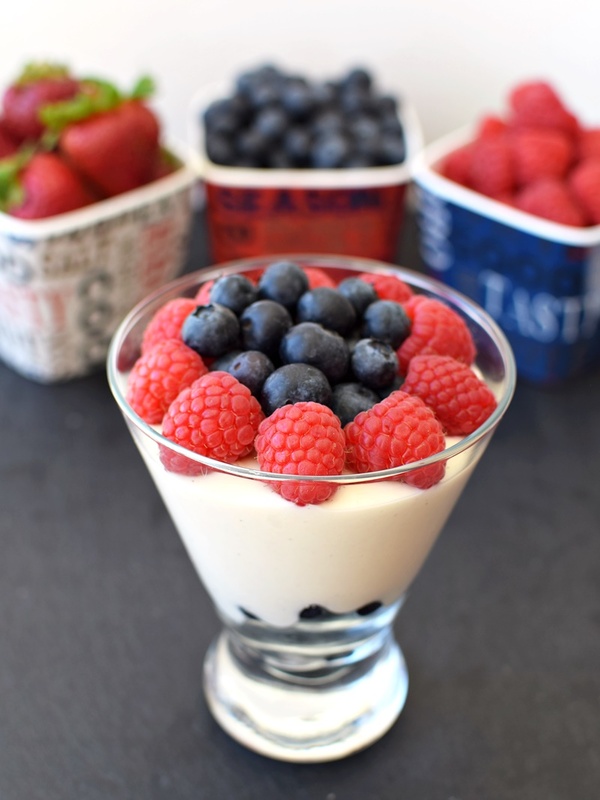 I love this light and healthy mousse. I need to get my hands on that yogurt and try this! Oh does that look good! I’ll have to look for their yogurt…haven’t seen it in my store, but I will seek it out! Awesome! Yes, the distribution on it really seems to be picking up. It’s in most grocers in my town, though the unsweetened versions can be elusive! I love that this is not a “Fat Bomb” like you said. I have fat malabsorption and when I indulge in something rich, I tend to regret it. 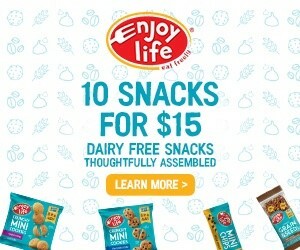 This looks like a great treat for me! Oh, not fun, but yes, I think many of the “healthy” desserts are just too rich for a lot of us! If you have a store that carries the yogurts, just ask them to order the Unsweetened in. I did that and now they carry it regularly! 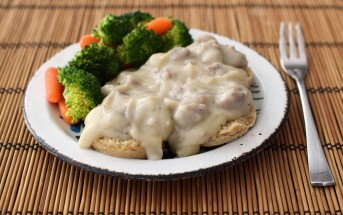 I would love this for breakfast! Coconut yoghurt is the best! This just sounds so creamy and refreshing! It’s definitely creamy and fulfilling! this sounds wonderful! So Delicious is one of the only dairy free yogurts I like, and I happen to have a few I picked up just today! this is going to be breakfast tomorrow! Awesome! Yeah, I’ve been enjoying the yogurt with granola, too!